Eggstravaganza Event, Shiny Shuckle and Meltan, Torchic community day, Go Fest Chicago, and more! Shiny Lapras too, though no boosted spawns for that one. Pokemon Go Community Day for May 2019: Torchic! To quote Dave Mark, Pokemon Eggs > Easter Eggs! The Pokémon GO Eggstravaganza is back, and it's time to hop to it, Trainers! Pokémon like Pichu, Smoochum, and Magby will be available in 2 km Eggs, and Egg-focused Field Research will be available to complete. Every Egg hatched during the event will also include bonus Candy to help you power up your newly hatched Pokémon. Buneary is joining in the festivities, and if you're lucky, you may encounter the Shiny form of this Rabbit Pokémon! If you're lucky, you may encounter Shiny Buneary! Stil no black Ray Ray, but you'll be able to get Shiny Latios... maybe. If you're lucky, you may encounter a Shiny Latios! We kicked off 2019 with South America's first-ever Safari Zone event in Porto Alegre, Brazil, and we'll have another Safari Zone in Sentosa, Singapore, in just a few weeks. Next, we're excited to reveal that Pokémon GO Fest is coming to three cities around the world! 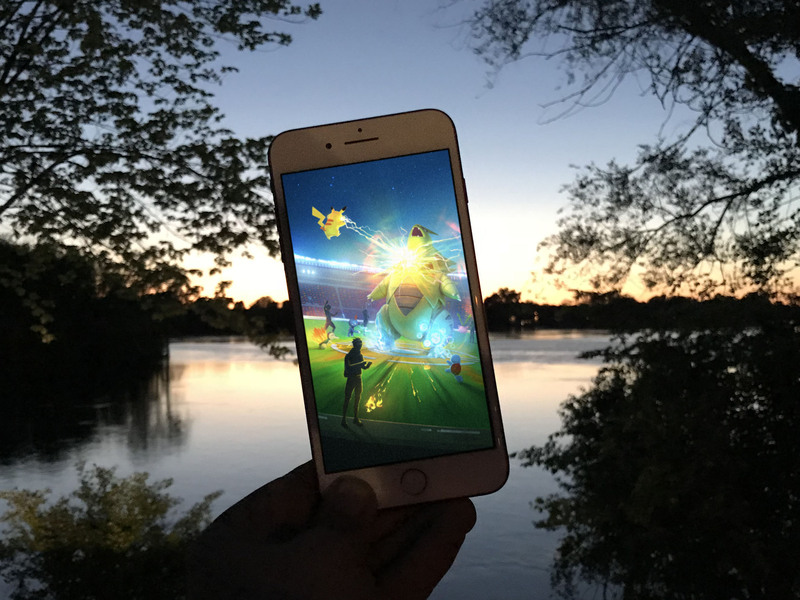 "Last year's Pokémon GO Summer Tour brought hundreds of thousands of Trainers together at real-world events around the world which left us with some truly unforgettable moments and stories," said John Hanke, founder and CEO of Niantic, Inc. "This summer, we're looking to continue to build upon that success and create even more ways for Trainers to enjoy and interact with these incredible parks and cities and build lasting friendships throughout their journeys of encountering Pokémon in the 'real-world.'" This is great. Makes it way easier to plan for the community days. Giratina returns to Legendary Raids starting March 28... and in both formes. You did your team leaders proud back when you battled Giratina in its Altered Forme. However, there are still many mysteries to be unlocked about the Renegade Pokémon. Giratina has reemerged from the Distortion World to renew and transform. Starting March 28, Altered Forme Giratina will return to raids until April 2, when it will transform into Origin Forme to keep testing Trainers' strength until April 29. The DNA Pokémon, Deoxys, has tested the strength of Trainers in EX Raids and has changed form again! Defense Forme Deoxys will be in EX Raids with stronger defenses than previously seen, so make sure your team is prepared. This Psychic-type Mythical Pokémon will be available to challenge beginning March 25. Keep your Best Friends close and your Bite / Crunch Tyranitars even closer. The first Pokémon GO Safari Zone in Southeast Asia is taking place in Sentosa, Singapore! Sentosa is known for its pristine beaches, tropical landscape, and wide range of entertainment. Ticket holders will encounter rare Pokémon—such as the Grass- and Flying-type Pokémon Tropius—roaming around the beautiful island of Sentosa from Thursday, April 18, to Monday April 22. Register now for a chance to receive a free one-day ticket for our Safari Zone event in Sentosa by visiting the event website from 5 March to 7 March at https://safarizone.sentosa.com.sg. Tickets will be sent to selected Trainers via email no later than 11 March. Please note, Trainers with a ticket will only be able to find the special Safari Zone event Pokémon during the day the ticket was first claimed. Trainers without a ticket will experience normal gameplay.